GLENDALE, Ariz. — Keith Kinkaid stopped 21 shots and had two saves in a shootout, lifting the New Jersey Devils to a 3-2 win over the Arizona Coyotes on Friday night. Kinkaid, who entered after MacKenzie Blackwood left with a lower-body injury in the first period, stopped Alex Galchenyuk and Nick Cousins in the shootout. Kyle Palmieri and Drew Stafford scored in the shootout for the Devils, who have won four of six. NOTES: Arizona C Nick Schmaltz missed his second straight game with a lower-body injury. He was placed on injured reserve on Thursday and is listed as week-to-week by the team. 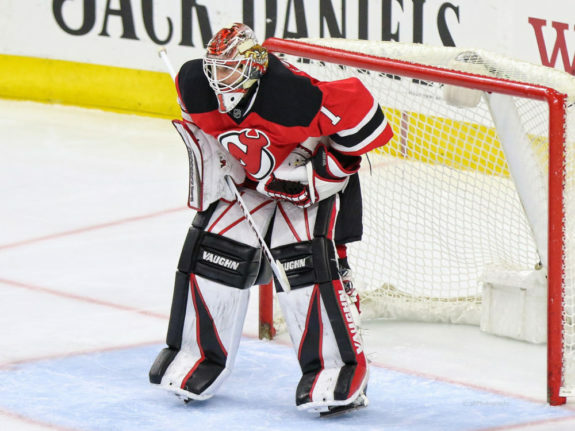 … Devils G Cory Schneider missed his ninth straight game with a lower-body injury, but has been skating on his own. LW Taylor Hall missed his fifth straight with a lower-body injury.